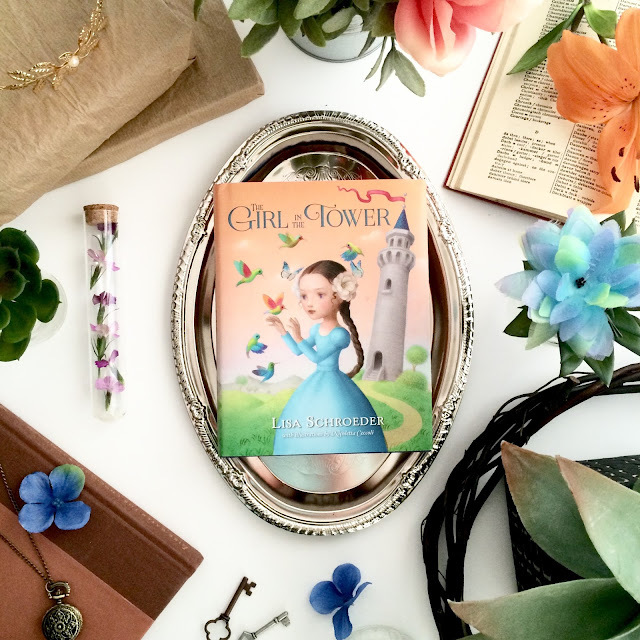 Violet and her mother have been locked away in a tower for as long as Violet can remember. Only the evil queen, the gardener and his wife know about Violet. 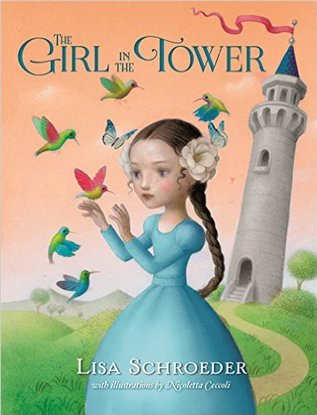 As Violet grows the gardener takes pity on the poor girl and creates a hidden paradise for her within the garden walls. A place Violet can go to feel the sunshine, smell the flowers and befriend the beautiful humming birds the evil queen has filled the garden with. Even though the winters are long and cold and Violet is forced to eat stinky eggs her imagination takes her far away. Some days she's a princess, some days a pirate but thought it all she has her mother by her side to love, teach and pretend with her. They also have their dream of someday escaping from the bleak tower and the evil queen who imprisoned them, finding Violet's father, and traveling the world together. But the queen has other plans for the rare child with black hair and violet colored eyes. It seems the queen might not be so wicked after all when she declares Violet will be freed from the prison and elevated to princess, until she learns her mother will no longer be allowed by her side. With Violet's father cast under a spell and her mother is banished, Violet will have to out smart the women who has held her captive and break the spell before her family is lost forever. I thought this was a sweet fairy tale, great story for younger readers. There were a handful of gorgeous illustrations throughout the book and though the story line was simple it had heart. I liked how the adults in the book were all kind to the girl and most were fantastic role models. The evil queen was selfish and could be nasty but not anything that would terrify readers and even with her wickedness she was kind to Violet in her own selfish way. All in all in was light, breezy story with a happy ending fit for a princess (or a pirate, depending on the day).